Adebayo expresses optimism of a better 2018 for Nigerians – Royal Times of Nigeria. 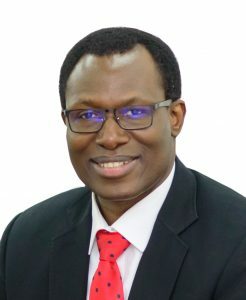 President and founder, African Broadband Limited, owners of RoyalFM, RoyalTimes and RoyalTV online, Engineer Gbenga Adebayo, has joined eminent Nigerians to rejoice with Nigerians as we usher in the New Year, expressing optimism of a better year ahead. In his New Year message to commemorate the year 2018, Adebayo lauded Nigerians for their resilience and commitment to oneness despite all challenges encountered in 2017. While noting that only our selfless and patriotic traits as a people will make this New Year a far better one for the nation, he urged Nigerians no matter the ethnic, political or religious leaning to forgive one another, put their differences behind and work hand in hand to achieve a glorious year for Nigeria. The business doyen also commended leaders in the country for the efforts being made to advance the state of the nation, but emphasized that a lot still needs to be done. He therefore urged them to place the interest of the nation first before individual interest.